Summer in the city is, quite frankly, rude. While on Instagram we can dream of days spent on a little yellow arc of Italian beach, Campari in hand, the reality tends to land us on a bus that smells of exhaust, a stiflingly hot metro, or an office where the air conditioning is on the fritz. What a shame. Wouldn’t you rather be somewhere more bearable? And if you can’t, why not pack your vanity with beauty products that bring a little relief? 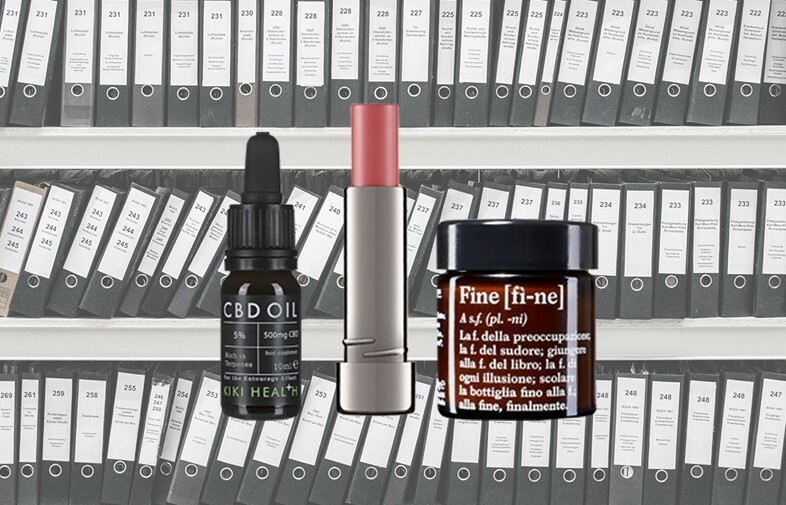 Whether that’s an SPF which uses green ingredients to beat the heat, or a scent that brings a little Mediterranean sunshine to cubicle life, there’s a beauty product ready to work a little summertime magic for you. There is nothing comparable to the smell of summer days on the beach: sea salt and coconut, sun lotion, baking heat and a cool breeze. And the perfect summer fragrance should contain all of that, plus a little je ne sais quoi, some indefinable thing that smells like nostalgia for a moment which hasn’t yet passed. This is what Eau de Soleil Blanc does. Crisp, vibrant top notes of citrus and bergamot combine with a base of coco de mer, amber and vanilla. A scent for sunseekers, and a way to keep a part of the beach close to you all season long. 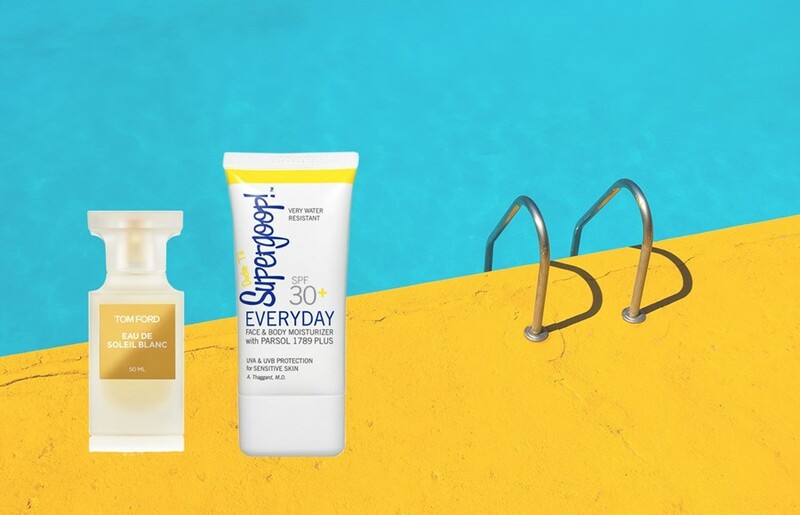 For a sunscreen you can rely on throughout the summer, look to Supergoop’s ultra-lightweight Everyday SPF 30. Natural oat extract adds a super-soft moisturising effect, while a bouquet of basil and citrus scents make it smell good enough to eat. 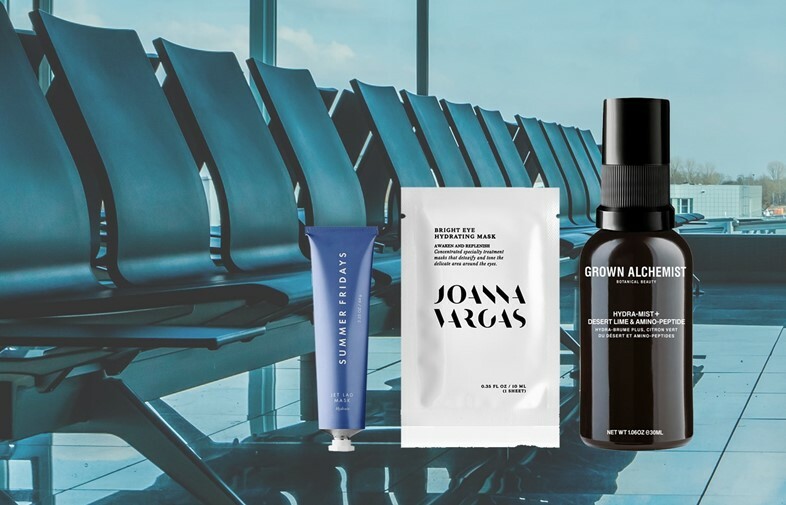 This is a handy one to tuck away in your carry-on, making even budget air travel feel a little more glam. A luscious blend of vegan, organic ingredients makes this a soothing, nourishing treatment for your hardworking skin. Apply, leave on while you leaf through the inflight magazine, then gently wipe off any residue with a hand cloth. You’ll be dewy by the time you hit the tarmac. Warm weather can turn even basic moisturising into an unwelcome chore. Late nights, humidity and air pollution drain any remaining lustre from your skin, resulting in a dull pallor rather than the sultry glow you really deserve. Why not ensure that skincare and the fundamentals of cosmetic self-care feel like a luxurious experience instead? New York facialist Joanna Vargas’ cult bamboo sheet mask brightens, and is a refreshing antidote to summertime city skin. Your most low-maintenance friend might scoff, but a hydrating mist is a genuine essential for summer weather. When sun, sweat and air conditioning have combined to leave your face more parched than Hyde Park in mid-July, Grown Alchemist’s Hydramist+, with desert lime and kelp, can bring back a welcome boost of hydration. Added bonus: your dewy-look foundation and highlighter sit better and won’t slide around your skin. 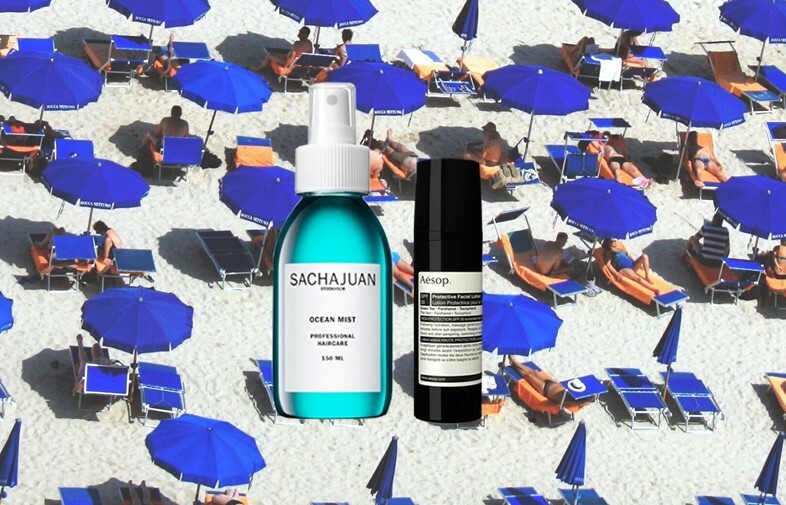 A sea spray for hair in summer may feel like a cliché – the city girl’s way to carry a little surf with her all year around – but with Ocean Mist Texturising Spray Sachajuan have turned the spritz into a modern and relevant warm weather classic. This one works as well when emerging fresh from the water on an island in the Stockholm archipelago, as it does when stepping out of the shower in your boxy bathroom. A conscientious shopper could dedicate her life to finding the correct facial SPF. It must be lightweight but protective, packed with antioxidants and not too “chemically”. And it mustn’t coat the skin with the dreaded pasty white cast. Bonus points, of course, if it smells like the kind of wistful summer you see captured in sun-soaked film photographs. Or, she could stop trawling the shops and go straight to Aesop, and their Protective Facial Lotion. With SPF 30 and hydrating antioxidants in the form of vitamin E and green tea, this is an ideal form of lightweight, effective sun protection. CBD oil is a slow burner in the world of beauty, but this one’s antioxidant-rich blend means that a drop or two under the tongue could help rebalance skin’s natural equilibrium. And even if the effects take a little while to materialise – expect days if not weeks – CBD oil is widely believed to be an excellent sleep aid, which can only lead to good things for your skin, too. Conventional wisdom states that summer is not the time for a full face of makeup. Mascara can feel cloying, foundation suffocating and highlight simply a hassle. What, then, for lipstick? When the weather is too sticky for the full procedure, opt instead for something easier. No Lipstick Lipstick by Perricone MD is nourishing with a gentle hint of colour, and while a quick slick works best when not long out of the pool, it’s also effective when topped up on a bus from the office en route to al fresco drinks. The search for a natural deodorant is an exhausting one, but finding something that is aluminium- and paraben-free (and vegan) is worthwhile if you’re tired of irritation from sprays and roll-ons. Enter Fine Deodorant, with a blend of cedar and bergamot for a heady, fresh unisex scent that alleviates rather than masks your own natural musk. Nobody wants to smell like an aerosol, and Fine’s organic blends provide soft and effective odour prevention.